I read ur article about pcd company it will be very helpful for me. For that article thanks to you. 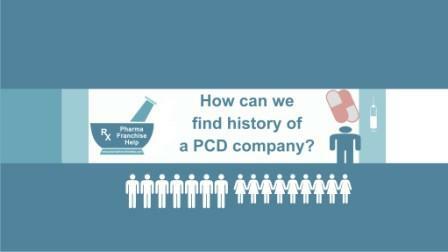 but i want more help form u, how can i find out history about pcd company. Finding history of any franchise company is not a easy task. You can’t find much information about company background and working culture without starting starting business with them. Year of establishment, their divisions, annual turnover, person behind company, marketing team, number of employees etc can give information about company but these are not all factors. In other word, without starting work we can’t say much about any company. Your prime motive is availability of stock, availability of promotional inputs, their follow-up etc. Company history is not prime object but I agree with you it is necessary and one should know about company before start. Stock availability and follow-up system is there internal matter, so it is not easy to know about their internal system. These are few things that most of companies don’t disclose. One way of Stock availability checking is by asking them to send sample of all products that you want to market. You can also purchase one box of each product you want to market. Generally if company can provide 12 out of 15 items then you can be assured about availability but that is only for sample purpose but that example is also not perfect. May be company has products only in small quantity and going to be out of stock shortly. but that give one assurance that they are manufacturing/marketing these products at regular basis and has packing material and manufactured it regularly. We can’t say about any company whether it can give you good response or not but trust is basis of all businesses. But you should be careful in many things. As we discussed about shortage and other factors that can effect your sale after start. Open all your term and conditions before starting business with any company. Take a written agreement at mutual conditions. If you don’t want any target system then say opening, you can’t work under any pressure. Agreement should be of two years and can renew further if company and you both want to renew it. If you also need promotional material and marketing inputs then open all things with company representative and should be mentioned in agreement. If you are working with multi divisional company then I recommend to start with parent company. In Parent company, most of people give great care….